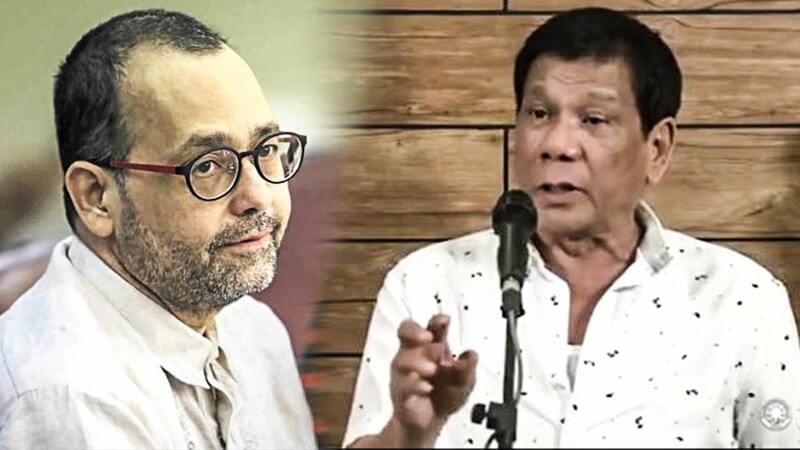 Francis Abraham, a radio commentator in the Philippines, said in his Facebook page that Commission on Human Rights Chairman Chito Gascon has politicized the institution and is using it as a tool to put down President Rodrigo Duterte. 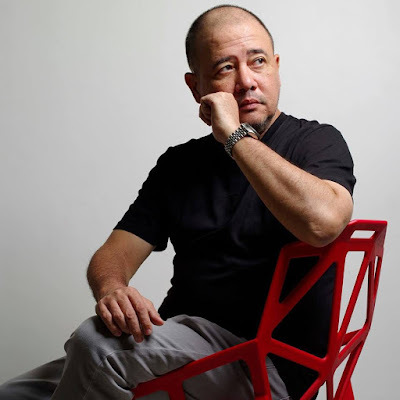 "Chito Gascon has politicized the CHR and has used it as a tool to put down Duterte and his government the way Sereno, Carpo Morales, and De Lima does. " This remark was made after Gascon's 11-minute speech in Oslo Freedom Forum in New York where he described in a bad light the current situation of the Philippines with its drug war. "I wonder if he really cared for the victims? How many cases have been filed and won? If he really cared fo the victims and if he really cared to rid the country of drugs, he would work with the government by supporting the anti drug campaign ang help the police force and government identify rogue cops!" Abraham said. He said that Gascon should be taken out of the CHR as he is "a politician, an ugly LP puppet and propagandist only made respectable by the position he holds as CHR Chairman." Gascon said in his speech that over four thousand had been killed without due process and that Duterte is forcing his way through the government and even making officials like Ombudsman Conchita Carpio Morales to resign. Abraham said that the speech was not only political , but also bereft of facts. "While Gascon says that the "starkest indicator of this war on drugs is the sheer number of dead people", Gascon fails to mention that while there have been "thousands" killed (4,279 to be exact as of May 15, 2018), there were also 143,335 drug personalities arrested. This means that out of 147,614 drug personalities encountered in police operations, only 2.9 percent led to their deaths. There have also been 99,485 anti-drug operations conducted by the police. I do recall that during the Human Rights Evaluation at the United Nations, Alan Peter Cayetano did mention that the percentage of deaths due to the current anti drug operations is the same as that of the past administration. In other words, there are more deaths only because the police are doing their jobs to rid the streets of drugs." He also rebutted how Gascon said that the suspects killed were not given due process of law. "Of course they were shot without being arrested, tried, or given any sort of judicial process. Gascon does not seem to understand that when a criminal fights back, the police have the right to defend themselves. Here we see Gascon's distorted mindset which is ridiculously biased towards suspected criminals. While Gascon recognizes the presumption of innocence of a suspect (that is why he is being arrested to be brought to trial), he should also presume regularity in the work of a police officer. This means that a police will do his duty and arrest a suspect and will only engage in a firefight if the suspect fights back. " He said that the police officers who shot the suspects should be presumed innocent and not called murderers. "- That the War on Drugs is a "War against the poor, war against human rights and a war against the law." The war on drugs is not against the poor save for the FACT that shabu is used by poor people. It is not a war against human rights. It is a war to promote peace and order and to keep our society safe and for innocent people to be protected. The war is not against the rule of law. It is a war that operates UNDER the rule of law. - "Duterte has promised security forces immunity from suite if they follow his directives." Of course! The directive is do your job! If your life is threatened, protect yourself and if you have to, kill them. - Gascon called for "Transparency and not fake news." The government has released the actual figures on the war on drugs Mr. Gascon, in the spirit of transparency. These figures are available to you and for you to question. Use these figures! Do not distort them or spin them. And where did you get your 12,000 figure? Where is your source? - "Congress threatened the CHR with a 20 dollar budget." Yes they did Mr. Gascon. They should have given you just that but regretfully, they did not!" It was nothing more than an anti administration political speech delivered by CHR Chair Chito Gascon at Oslo. Bereft of actual facts save for one piece of data which he did get right, which is the four thousand deaths due to the war on drugs, Gascon proceeded to dish out anti Duterte and anti government rhetoric, all at the expense of our country and taxpayers. Even then, while he did show the 4000 deaths during police operations, Gascon shows a side by side graphic claiming 12,000 deaths due to the war on drugs, prompting many to ask, where Gascon had culled the figure from. While Gascon says that the "starkest indicator of this war on drugs is the sheer number of dead people", Gascon fails to mention that while there have been "thousands" killed (4,279 to be exact as of May 15, 2018), there were also 143,335 drug personalities arrested. This means that out of 147,614 drug personalities encountered in police operations, only 2.9 percent led to their deaths. There have also been 99,485 anti-drug operations conducted by the police. I do recall that during the Human Rights Evaluation at the United Nations, Alan Peter Cayetano did mention that the percentage of deaths due to the current anti drug operations is the same as that of the past administration. In other words, there are more deaths only because the police are doing their jobs to rid the streets of drugs. Gascon, after claiming thousands of deaths, proceeds to say that "literally thousands have been shot without even an arrest, a trial, or other judicial process." What? This is probably the most IDIOTIC statement made by Gascon. Of course they were shot without being arrested, tried, or given any sort of judicial process. Gascon does not seem to understand that when a criminal fights back, the police have the right to defend themselves. Here we see Gascon's distorted mindset which is ridiculously biased towards suspected criminals. While Gascon recognizes the presumption of innocence of a suspect (that is why he is being arrested to be brought to trial), he should also presume regularity in the work of a police officer. This means that a police will do his duty and arrest a suspect and will only engage in a firefight if the suspect fights back. In other words, Mr. Gascon should also presume that the officers are innocent and are not murderers unless proven otherwise! Gascon talks of the constitutional presumption of innocence as if it only applies to drug suspects and not to the police officers. - That the War on Drugs is a "War against the poor, war against human rights and a war against the law." Yes they did Mr. Gascon. They should have given you just that but regretfully, they did not! Chito Gascon has politicized the CHR and has used it as a tool to put down Duterte and his government the way Sereno, Carpo Morales, and De Lima does. I wonder if he really cared for the victims? How many cases have been filed and won? If he really cared fo the victims and if he really cared to rid the country of drugs, he would work with the government by supporting the anti drug campaign ang help the police force and government identify rogue cops! Gascon should be taken out of the CHR. He is a politician, an ugly LP puppet and propagandist only made respectable by the position he holds as CHR Chairman. He should be taken out as CHR head. If not, limit his budget to 20 dollars!